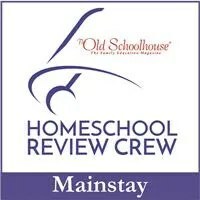 If you have read much of my blog at all, the name SchoolhouseTeachers.com comes up a lot. We use this site for tons of different reasons because there is SO MUCH there. When you purchase an Ultimate Annual Yearly Membership, you have access to everything. What does this mean? For the single price (which is currently on sale for Crew followers! see later in the post for the code), you get access to every single thing on the site. This includes curriculum, review materials, printables, planners, meal plans, videos, encouragement, World Book, specialized sections for specialized needs, and tons more. This access can be for one person or for the entire family. The price does not change. There are currently over 450 courses on SchoolhouseTeachers.com. This ranges in age from preschool materials to those for adults. We are using things from all over the site, it seems like. My high schooler enjoys using the Daily Writing and This Day In History writing prompts. She uses these every day and follows those prompts. She has a notebook full of interesting writing samples because of the variety of materials there. She doesn’t write every single day but when she does, there’s no stopping her. Today, she wrote over a page on Laura Ingalls Wilder. Another course my high schooler is using is Speech. She doesn’t love this course but it has been a good one for her. She is working on it two days per week and some of the assignments take her several days worth of work. It is challenging, such as asking her to create and present on a product she would create after having her watch an episode of Shark Tank. She started off her chemistry class on SchoolhouseTeachers with Friendly Chemistry. She understands so much chemistry and she is really thriving with it. My middle schooler is using Elements of Literature. She is currently reading and writing about Peter Pan using this course. A lot is packed into each of these lessons and she is now working on writing a story with the characters she has created over the past few weeks. The middle schooler is also using Drive Thru History American History for her current history explorations. The videos are solid information and she prints off the review sheet to go with each one. She prints it prior to watching the video so she can read through it to know what to listen for in the video. These are wonderful videos that teach so much. My elementary student is using Daily Puzzlers. This is a new one for her to help continue the critical thinking she loves so much. The strategy for this is great for also challenging her spelling. I am using one of the printable and editable planners to keep track of my girls education this year. It is wonderful to be able to print exactly what I need and to edit and personalize it to my needs. I pop it into a three-ring binder and can then add to or change as needed. From the weekly pages to the calendars and the monthly notes, this planner is just perfect for me. World Book – There is an access code and link for members of SchoolhouseTeachers to be able to go to World Book online. There are spaces that are directed at different ages or topics. There is a search function and fabulous timelines. Readers, advanced non-fiction books, and more is all available for members of SchoolhouseTeachers. Video Library – Members of SchoolhouseTeachers also have access to the wonderful video library. There are many videos that are related to the courses but Right Now Media access is also a part of this. There are well over 400 videos to be accessed. Parenting, faith, kids, science, history, and the list goes on. Members Forum – This is a place where members can go to chat and encourage each other, ask questions, or get advice. There is so much on the site that I felt like I should share, again, about this fabulous resource. If you haven’t yet, now is a great time to check it out. The price for Crew followers cannot be beat. I don’t know that I have ever seen it lower. Please check it out. I don’t think you will regret it. Click on the banner below and go read other reviews from Crew families, many of whom have been experiencing SchoolhouseTeachers.com for the first time. They have all found different parts of the site a good fit for their families and you might find that, too. i keep forgetting that drive thru history has some adventures on SchoolhouseTeachers… I”ll need to go there for him. Yes and I am so glad to have that access.